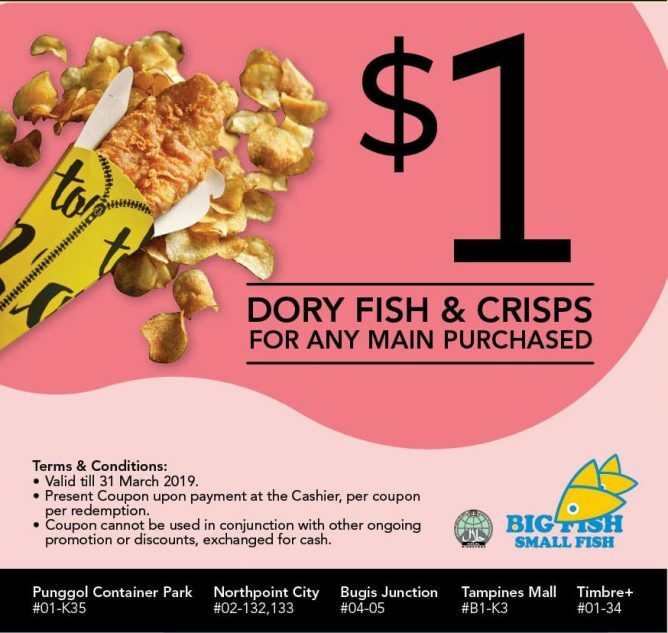 Home > Dining and Gourmet > Seafood > Big Fish Small Fish: Flash E-Coupons for $1 Dory Fish & Crisps, 50% OFF on 2nd Main Purchased & 1-for-1 for All Add-On Menu! 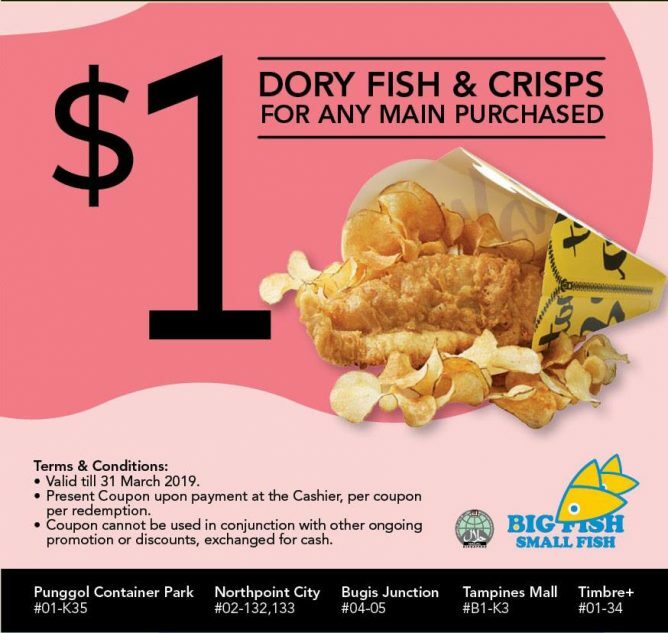 Till 31 Mar 2019 Big Fish Small Fish: Flash E-Coupons for $1 Dory Fish & Crisps, 50% OFF on 2nd Main Purchased & 1-for-1 for All Add-On Menu! 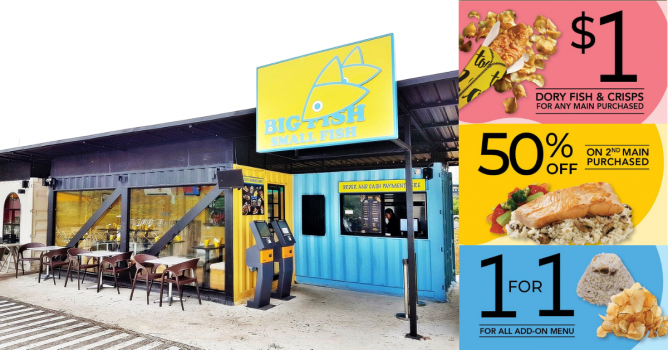 Start the year with fabulous deals from Big Fish Small Fish. 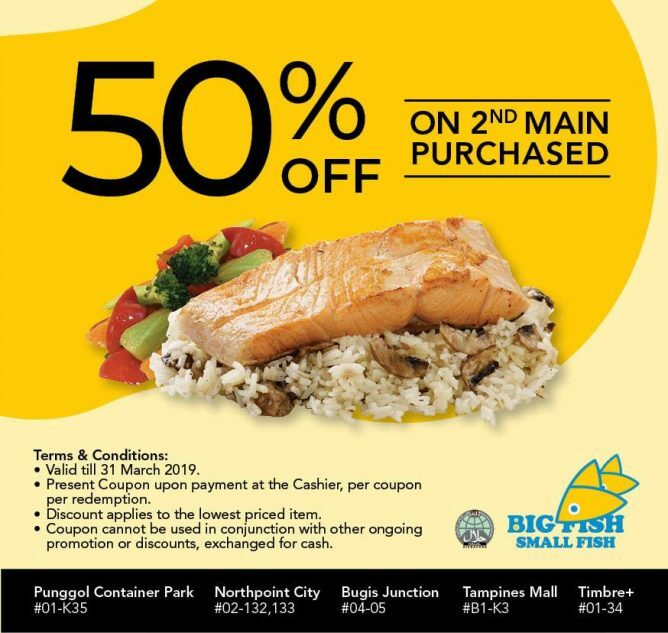 Simply flash these coupons for awesome savings!!! 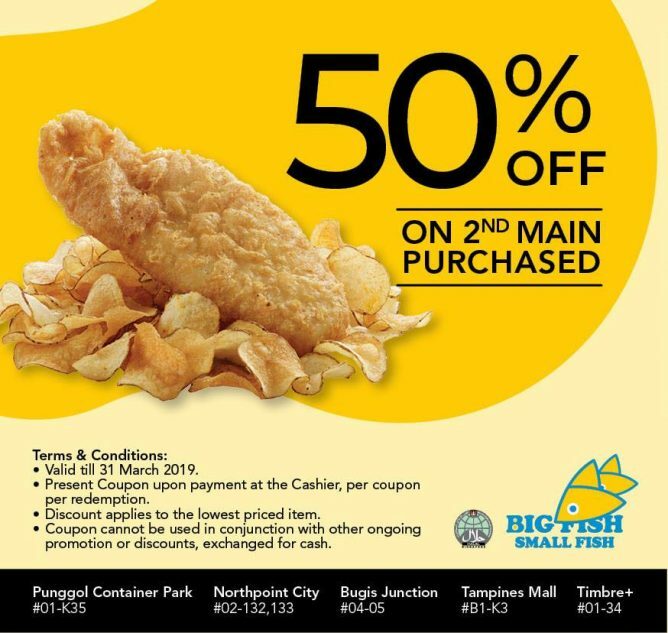 Valid till 31 March 2019. 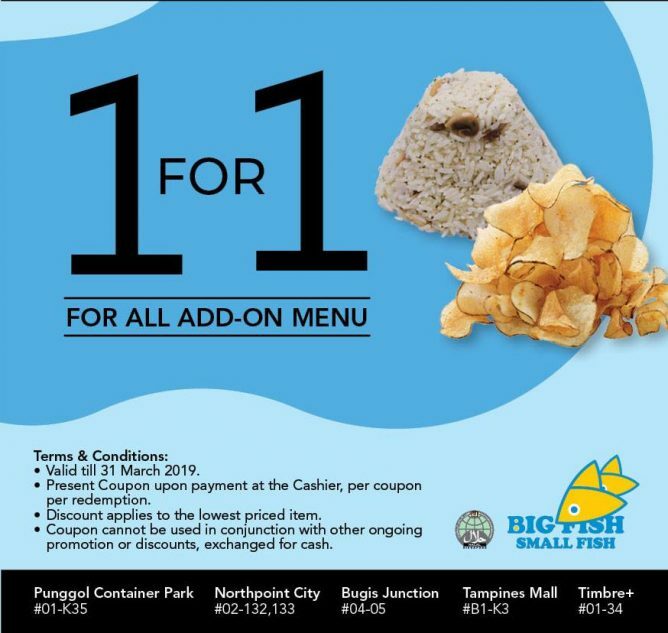 Valid till 31 March 2019. 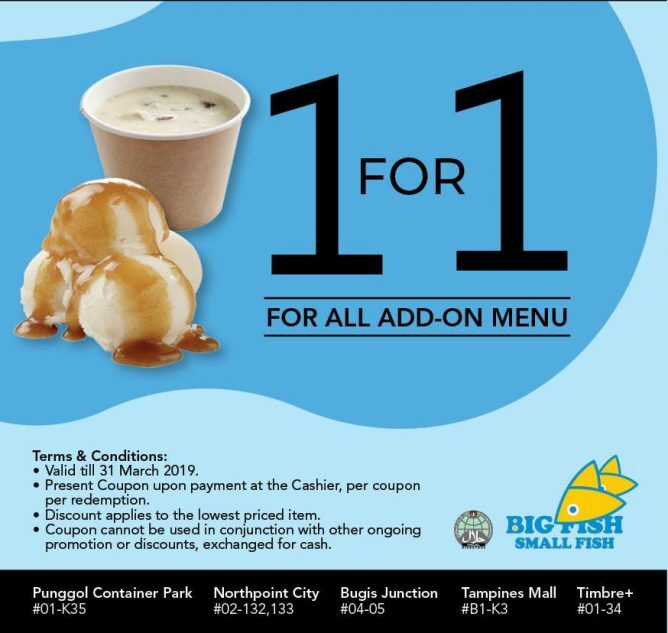 Present Coupon upon payment at the Cashier, per coupon per redemption. Coupon cannot be used in conjunction with other ongoing promotion or discounts, exchanged for cash.